The dark nights may seem never ending at this time of year, with daylight hours in short supply before and after the winter solstice. But an inky black sky is the perfect companion for Eric Walker, who can spend hours exploring what he calls a map of the night sky at his observatory in Conon Bridge in the Highlands. The retired whisky distiller is one of the most respected astronomers in the region, and regularly speaks at astronomy clubs on his specialism of astronomy photography. He is also due to give a talk at Orkney International Science Festival later this year. Eric’s knowledge of constellations is all the more impressive considering he is completely self-taught, after an unexpected birthday present re-ignited his love for studying the stars. “It was back in 2004 when I asked my wife, Marion, for a telescope for my birthday,” he said. “I thought it would just be a little thing that I could pop in my rucksack. The hefty equipment usually requires a stand and has found a home in Eric’s glass fibre observatory, where he spends most evenings indulging in “star hopping”. “I first discovered a love for astronomy when I was a young teen and we were taught about constellations in the boy scouts,” he said. “But then I left the hobby behind as I grew older and it wasn’t until Marion presented me with the telescope that it fired everything up again. “I got it assembled and joined the Highland Astronomical Society. The group has more than 70 members of all ages and backgrounds, and has a small observatory at Culloden Battlefield where there is next to no light pollution. Eric believes that technology has drastically improved in recent years, and he enjoys the challenges which come with stargazing. “If something is difficult I want to do it,” he said. “I get completely immersed and that has definitely helped me in the world of astronomy. “You have to learn the maps of the night sky and then you can go star hopping. Aside from learning as he went along, Eric has sought advice both from fellow enthusiasts and via online forums – which has enabled him to talk stargazers around the world. “You’ve got no choice but to learn the constellations because it helps you to navigate the sky,” he said. “There are a few objects that I look out for, like double stars. “Double stars are stars in close association with one another; they can appear to be golden or blue. 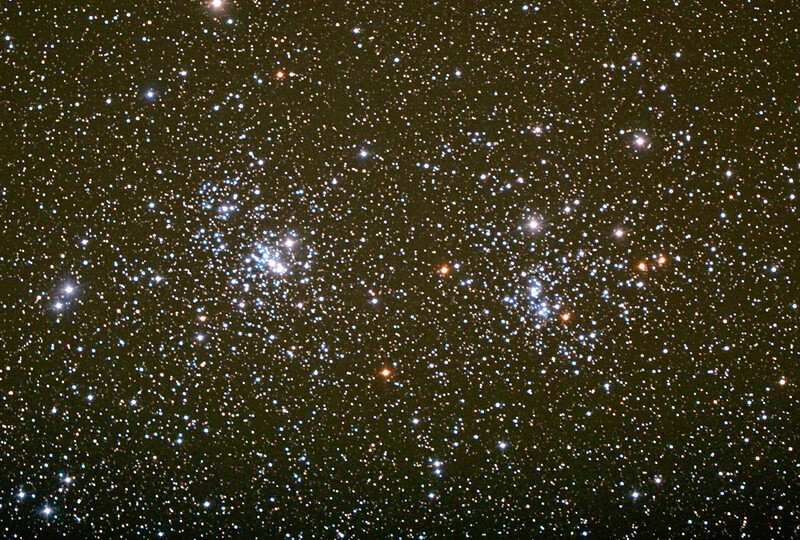 “Then there are star clusters which are open clusters of hundreds of thousands of stars. 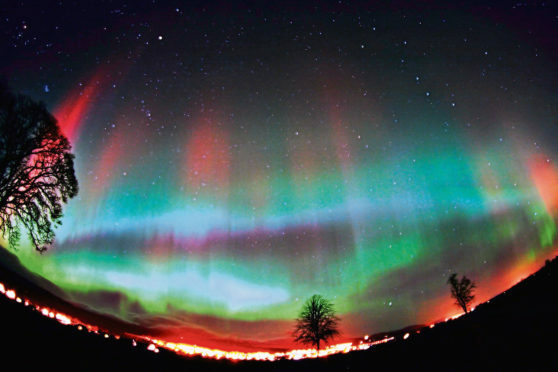 “It looks like a jewel box in the night sky. Eric has built two observatories and currently stargazes at home with a telescope which is computer controlled. “Stargazing is a bit like hill-walking, you drink in this wonderful view and find that it clears your mind,” said Eric. 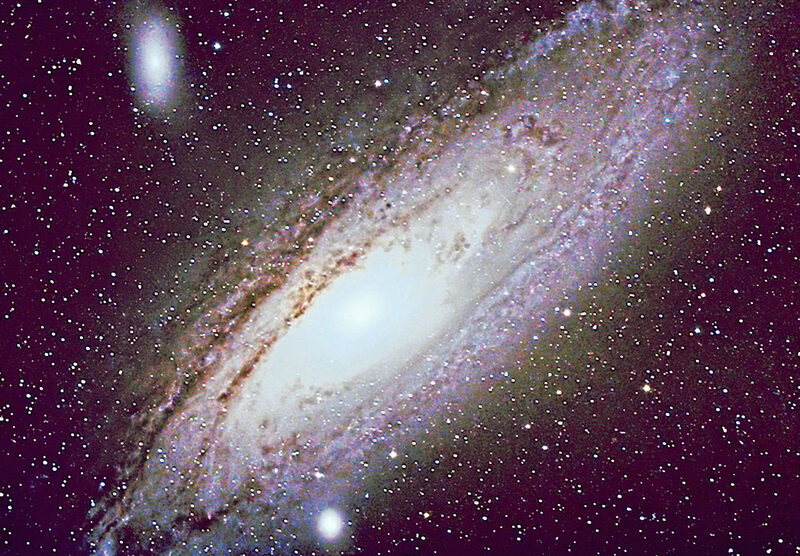 But astronomers have come up against challenges brought on by the modern world in recent years, mainly light pollution. “Offices seem to leave their lights on all night,” said Eric. “It gives this light glow and goes on for miles, you can’t see through it. “LED streetlights have helped but only if they are installed properly. “It can be pretty difficult to find a truly dark night sky, you need to go 20 or 30 miles outside of the city. From October through to the end of March, there should be great viewing conditions this far north, unless there’s cloud cover. Eric believes anyone and everybody can stargaze, and the group holds public observatory sessions. The events have become increasingly popular with youngsters. “It is 50 years since the moon landing this year so we have been doing a lot of outreach work,” said Eric. “Quite a lot of youngsters using their smartphone have managed to get some good pictures of the moon which are of wonderful quality. “I would urge anyone to come along, because the night sky is a wondrous thing. “Looking at the stars with the naked eye allows you to capture your memories, it is a snapshot in time.